It’s a rough time for the Oregon Ducks Women’s Basketball team, as they have just lost a third player this season. In early November, Chrishae Rowe was dismissed from the team for violating team rules, Janitah Iamaleava left the team by her own choice, and now Chloe Stiles has been dismissed for failing a random drug test. Rowe is a crucial loss for Oregon; a sophomore guard, she was the team’s leading scorer last season as a freshman. Rowe averaged 21.6 points per game while playing in 32 games. She also set the Oregon record for most points scored in a single game against Seattle University Dec. 4 with 41. Her 690 points last season were just four shy of breaking the Oregon single-season scoring record of 693, set by Alison Lang in 1983. Head coach Kelly Graves acknowledged that losing Rowe on the court was going to be a tough disadvantage for the Ducks. However, his program is about more than wins and losses, and he thought that dismissing Rowe would be the best for the team. In the last few weeks the Ducks have lost two more players, including center Janitah Iamaleava. Iamaleava appeared in three games this season, playing 12 total minutes. She recorded two baskets, one against USC and one against Oregon State. When head coach Kelly Graves announced Iamaleava’s departure, he explained that it was Iamaleava’s personal decision and that the student athlete feels she needs to concentrate on other things outside of basketball for now. The third and most recent player lost for this women’s basketball squad is guard Stiles. The junior shed some light on her dismissal via email to the Daily Emerald. She said her removal from the team coincided with a failed drug test, but the coaches also told her she was disloyal and they had issues with her academics. The athletic department officially confirmed Monday evening that Stiles is no longer with the team. Stiles walked-on in 2012 for the Ducks and is an Oregon native and Sheldon High alumna. Her father is an assistant coach for the Oregon baseball team, where her younger brother is also a player. Last year, Stiles averaged 2.5 minutes per game while making appearances in 17 games. She tallied a career high-tying eight points against Southern. As a freshman, Stiles recorded eight points in her collegiate debut against Illinois, including two three-pointers. After the three player losses the Ducks have suffered this season they maintain a roster of 11 girls. Their record is 8-11 for the season, 1-7 in conference play. 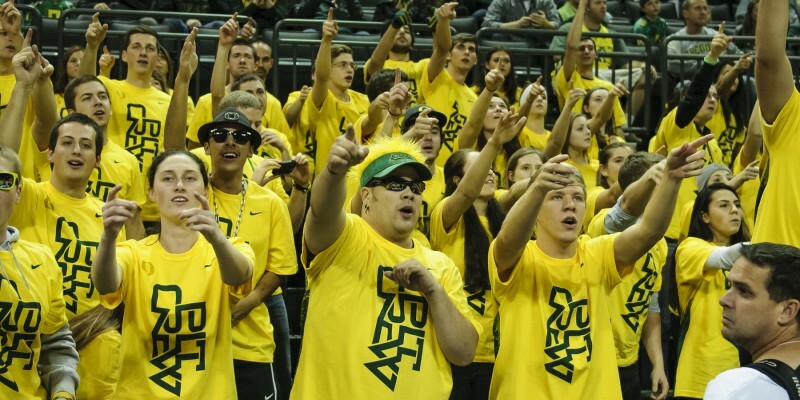 Their next game is this Saturday at 12:30 p.m. at Matthew Knight Arena against UCLA.